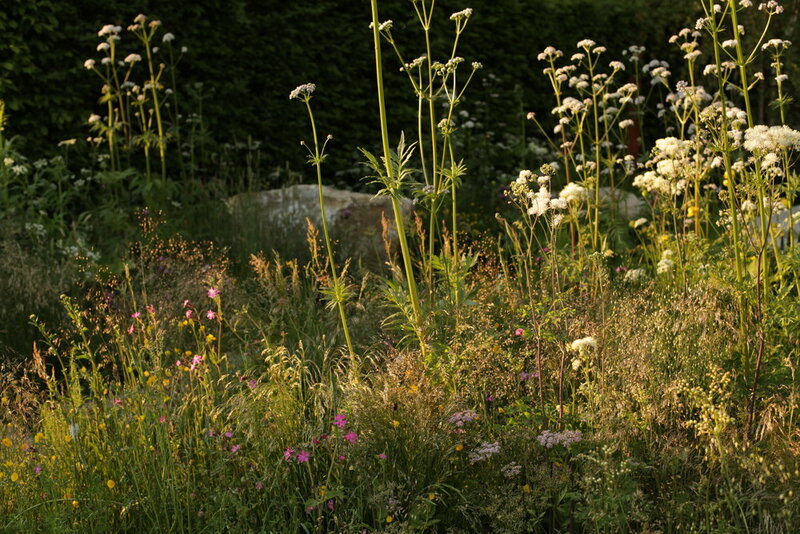 This RHS Gold medal winning garden, sponsored by The Telegraph, evoked the beauty and romance of wild places in the British countryside. Perennials, rushes, grasses and meadow flowers grew around an intricate pattern of pools in Chilmark limestone. The copper detailing drew its inspiration from the mineral-rich upland streams and rills of North Wales and Dartmoor. A stepping stone walkway lead the way across an expanse of water to an informal seating area on a group of boulders. 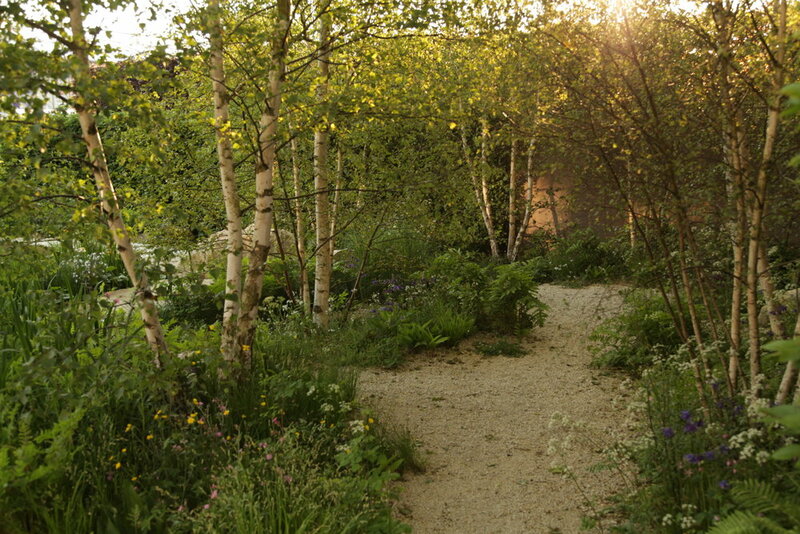 At the rear of the garden a glade of tall, graceful, multi-stemmed birch trees created an atmospheric woodland edge.